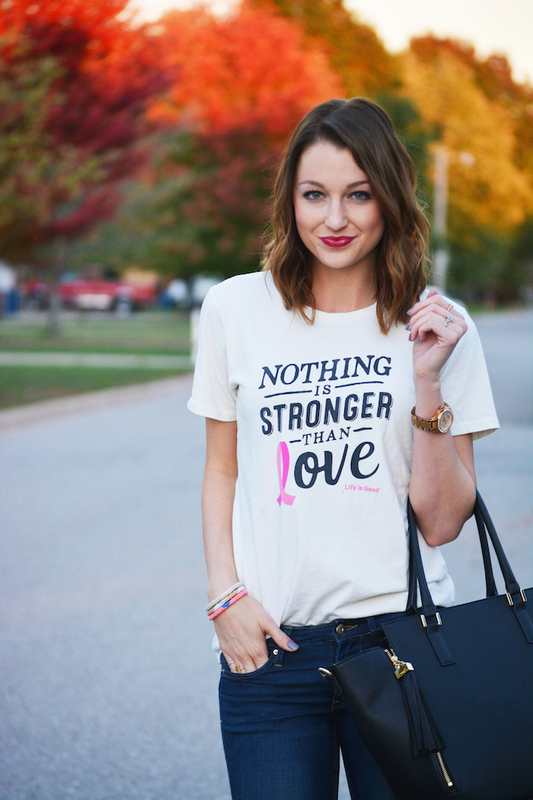 Today I have a special post for Breast Cancer Awareness Month in partnership with Life is Good! 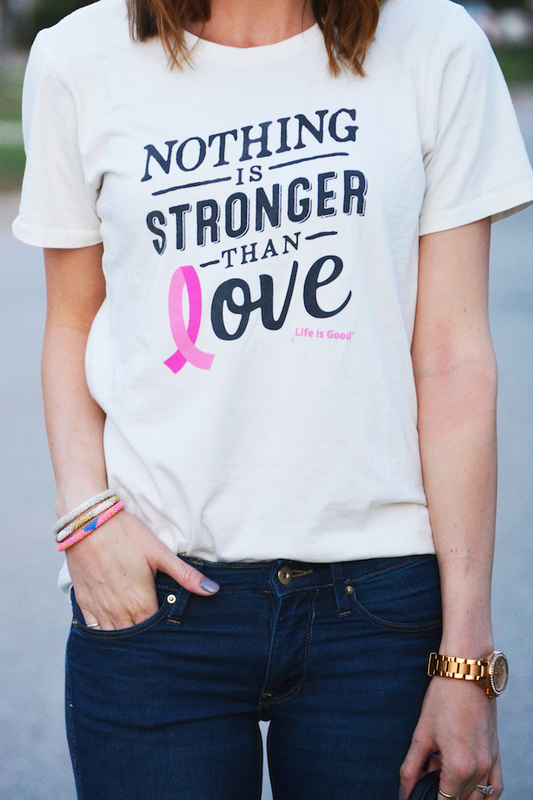 My tee is part of their new Beauty in the Battle collection, and the awesome part about it is that they're donating 100% of net profits from this collection to the Avon Walk for Breast Cancer, which contributes to both research and care. I love when something I own and wear can serve a greater purpose, and with 3 family friends fighting or recovering from breast cancer currently, this cause is one that's been weighing on my heart lately. Thank you to Life is Good for partnering with me for this post!